Abstract: The field of biomedical informatics has grown into academic departments, and recently it became possible for clinicians to gain sub-specialty certification in the field. Informatics as a clinical service contribution is a new concept at most academic centers. Potential contributions include implementation and support of methods and technologies that arose out of the informatics community; connectivity to national data networks; data standardization and integration efforts; and analytics. These contributions ideally take the form of collaborations with the IT and user communities. Methods of contributing fall into two broad categories: one-on-one consultation providing informatics expertise and methods; and provision of self-service data access systems that encode informatics expertise in how they operate. Through these contributions, informatics can close the gap between the providers of clinical data and users of clinical data. 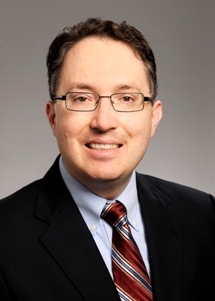 Bio: Andrew Post, MD, PhD is Associate Professor of Biomedical Informatics at Emory University, Clinical Informatics Architect at Emory Healthcare, and Informatics Core Director of the Georgia Clinical and Translational Science Alliance. Dr. Post received his MD from the University of Pennsylvania and his PhD in Biomedical Informatics from the University of Pittsburgh. Dr. Post serves as a design lead for Emory’s clinical data warehouse. He leads Emory’s i2b2 research data warehouse. He conducts research in temporal query; extract, transform and load processes; and healthcare analytics involving clinical data. He leads a software development team in translating novel clinical research informatics methods into production-quality software for deployment at Emory and beyond. In his Georgia Clinical and Translational Science Alliance role, Dr. Post leads efforts to create coordinated access to and management of clinical data across multiple clinical sites in the Atlanta area.